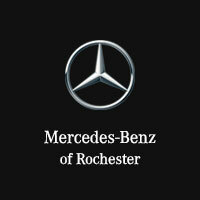 At Mercedes-Benz of Rochester, you’re guaranteed to find a great selection of quality used cars for sale. Thanks to our premium used inventory and certified pre-owned cars, you won’t believe how easy it is to find a pre-owned car that fits your lifestyle as well as your budget. You can even explore our retired courtesy vehicles for a mix of top-tier performance and dashing good looks. Looking to turn your current used car into savings on one of our great used vehicles in Rochester Hills, Michigan? Give us a call now and ask how you can value your trade and save even more on one of our top-notch used Mercedes-Benz vehicles. From excellent used Mercedes-Benz C-Class sedans and used Mercedes-Benz GLA SUVs, to other top used vehicles for sale from brands you know and trust, you’ll encounter the pre-owned cars you’re looking for here at Mercedes-Benz of Rochester. We have plenty of used luxury cars near Troy and Sterling Heights, MI. Not sure what kind of pre-owned vehicle you want? Stop by our Rochester Hills, MI used car dealership and test drive a few from the lineup today. Whether you’re considering buying or financing one of our reliable used vehicles in Rochester Hills, MI, or you want to take the time to plan ahead for monthly payments before making a final decision, the team here at Mercedes-Benz of Rochester is excited to help you succeed. And no matter your budget or your goals, getting started at our used car dealership is easy. Simply fill out our auto financing application online now, or check out our online payment calculator and start planning ahead for one of our luxurious pre-owned cars right away.